The 2018 Annual Summer Concert will take place on Saturday June 9th in Whitehaven’s Solway Hall (Civic Hall) commencing at 7:30pm. The choir are delighted to announce as their guest soloist Ellen Williams. Ellen Williams has been praised for her “poise and promise, her voice agile with silvery charm” (The Guardian), and has given performances in Cadogan Hall, Royal Concert Hall Glasgow, Bridgewater Hall, and the Wales Millennium Centre. Operatic roles have included Semele with Mid Wales Opera “sang with both grace and agility… revealed distinct promise” (Seen and Heard International), Zerlina (Don Giovanni) at the COSI Opera Festival in Italy, First Niece (Peter Grimes) in the Dartington International Summer Festival conducted by Sian Edwards, Lady Harriet (Martha) for Burry Port Opera where “her voice, delivery and acting meant that the part could have been written for Ellen”, Valletto/Fortuna (L’incoronazione di Poppea) with Ensemble OrQuesta, and chorus engagements have included Eugene Onegin with Scottish Opera. Ellen is a recent graduate of the RWCMD Opera course where she studied with Suzanne Murphy and Michael Pollock, having previously read Spanish and French at the University of Exeter and graduated with distinction in spoken Spanish. Ellen is also an alumna of Tibor Varga Music Academy in Switzerland, and the Dartington International Summer School. Supported by the Arts Council of Wales, during her studies Ellen was awarded the Aneurin Davies Memorial Prize and the Elias Soprano Prize, and was fortunate to sing Nannetta (Falstaff) conducted by Carlo Rizzi, Emmie (Albert Herring), Cendrillon by Massenet with Bute Park Opera, and Baroque favourites with Rachel Podger and Badinerie in the Dora Stoutzker Hall as well as scenes as Sophie (Der Rosenkavalier) and Lakmé with the WNO Orchestra under the baton of Simon Phillippo. 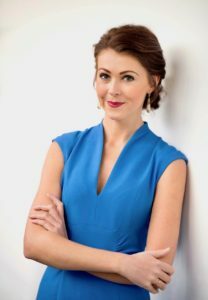 In 2016 Ellen was delighted to perform the final fugue in Verdi’s Falstaff as Nannetta in a celebratory concert for the RWCMD to HRH the Prince of Wales at in Buckingham Palace. Ellen has performed at Fishguard International Music Festival, Bangor Music Festival, Cowbridge Music Festival, and the Royal British Legion Wales Festival of Remembrance, and concert works include Handel’s Messiah in St. David’s Hall, Carl Orff’s Carmina Burana in Gloucester Cathedral conducted by Adrian Partington, Bach’s Magnificat, and Christmas Oratorio in Llandaff Cathedral. Ellen has won numerous awards at the National Eisteddfod of Wales including an Eirwen Griffiths Jones Scholarship and a Violet Mary Lewis Memorial Scholarship, has been a finalist in the W Towyn Roberts Scholarship competition and in the Llangollen International Voice of the Future competition, and appears regularly on Welsh television and radio with highlights including appearing as a soloist in the British premiere of The Bards of Wales conducted by Karl Jenkins, and appearing as one of the “10 Divas” on S4C! Ellen looks forward to competing in the final of the Welsh Singers Showcase at St. David’s Hall Cardiff at the end of June, before joining the National Gilbert and Sullivan Opera Company as Aline in The Sorcerer and Mabel in The Pirates of Penzance! Tickets are available from any choir member or Don Messenger on 01946 63452. Whitehaven Male Voice Choir are delighted to be returning again to their home town’s Solway Hall for this year’s Annual Concert, which takes place on Saturday 10th June at 7:30pm. The choir will be led by their new Musical Director for 2017 Colin Hoodless, with choir accompaniment provided by Joan Johnston. They are excited by the prospect of welcoming as their guest soloist this year John Ieuan Jones. 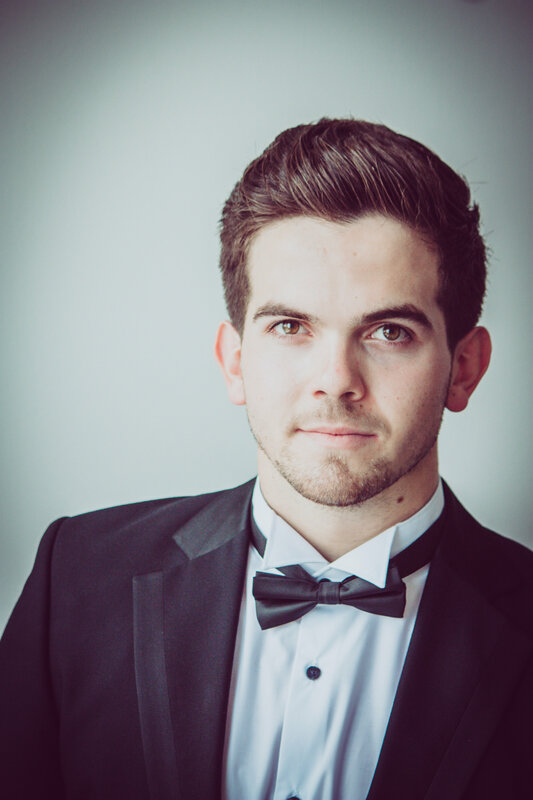 Originally from Rhos-on-Sea in North Wales, John Ieuan Jones is a baritone currently in his third year of study at the Royal Northern College of Music. John Ieuan was trained by Mezzo-Soprano Sian Wyn Gibson and composer Brian Hughes before heading to the RNCM, where he is now under the tutelage of internationally acclaimed bass, Matthew Best. In 2015, John Ieuan Jones won the James Martin Oncken Song Prize at the RNCM in his second year of study, and received 2nd place in the Musical Theatre category at the Urdd National Eisteddfod. In 2016, John Ieuan once again received 2nd place in the Musical Theatre Category of the Urdd National Eisteddfod as well as receiving The Manchester Welsh Society Prize by the RNCM. At the end of 2015, John Ieuan Jones played the role of Harry Easter in the RNCM production of Kurt Weill’s Street Scene, he was also a chorus member in their production of The Merry Widow by Lehar, and was a member of the small ensemble in the 2016 production of Cosi Fan Tutte by Mozart. In the summer of 2016, John Ieuan covered the roles of Bartolo and Antonio in Mozart’s Le Nozze di Figaro at Longborough Festival Opera, directed by Thomas Guthrie, as well as performing in the ensemble. As well as his passion for Opera, John Ieuan Jones is very keen on his Musical Theatre, alongside his success in national competition, John Ieuan has played the roles of Joseph in Joseph and the Amazing Technicoloured Dreamcoat and most recently the role of Charles Clarke in Titanic: The Musical. Future engagements include bass soloist in Mozart Requiem in October, Bach Christmas Oratorio & Mozart Coronation Mass in December. Also in December, John Ieuan will perform the role of Lord Ellington (Le Baron de Gondremarck) in RNCM’s production of La Vie Parisienne by Offenbach. On the concert platform, John Ieuan has a very varied repertoire of operatic arias, Welsh songs, Lieder, songs from the shows and ballads. He has appeared as a guest soloist in numerous concerts, charity events and awards ceremonies including the Conwy Business Awards 2016 and joining the Rhos Orpheus Male Choir as guest soloist.